Pakistani helicopter violated Indian airspace in Poonch district of Jammu and Kashmir; Indian Army open fire at Pakistan's chopper, reports ANI. 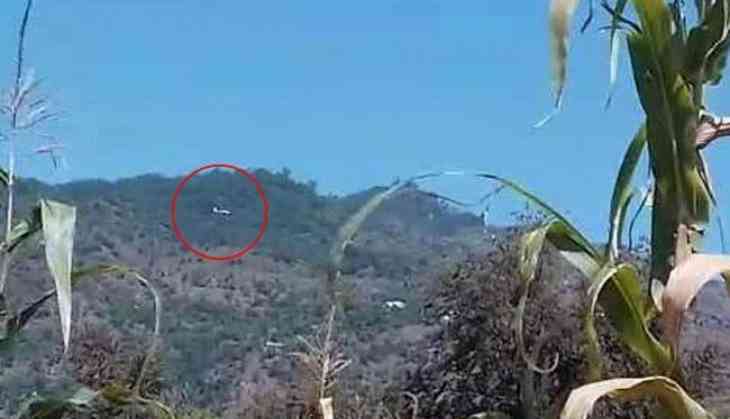 In a video released by news agency ANI, the Pakistani chopper can be seen flying above the Indian airspace in the Poonch area. According to the LoC agreement, the no aerial object could come within the 5 kilometres of the line of control on each side. But the Pakistani chopper violated the agreement and entered Indian air space and stayed there for almost 2:30 mins, the sources said. As soon as an Army got information of Pakistani helicopter violating the LoC, They launched open fire and tried to shoot it down. But the chopper returned before it could be hit. According to models recognised by both the countries, India and Pakistan, helicopters are not supposed to come within one kilometre of the Line of Control or LoC and fixed-wing aircraft within 10 km of the LoC. Akshay Kumar sets major fitness goals and his recent post is a proof!